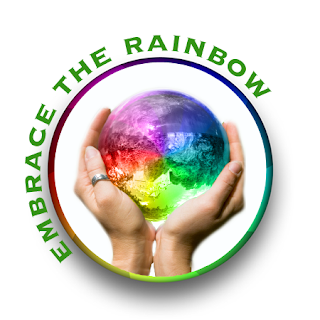 Sebastiano Fiorentelli studied the calendar — a freebie from the Humane Society with photos of puppies and kittens on it — on the wall of his cluttered basement laboratory and observed that it was the thirtieth day of October. Since emigrating to the United States and discovering the Halloween custom of sending children around to beg for treats, he’d made a habit of including something extra in the candy he made for the occasion each year. By the Nineteen-seventies, when hysteria over poison and razor blades swept the population, Mr. Fiorentelli had been living in his San Jose neighborhood long enough that no one fussed about letting their children eat his wax-paper-wrapped candies. Angela Benedetti lives in Seattle with her husband, five computers, and thousands of books. 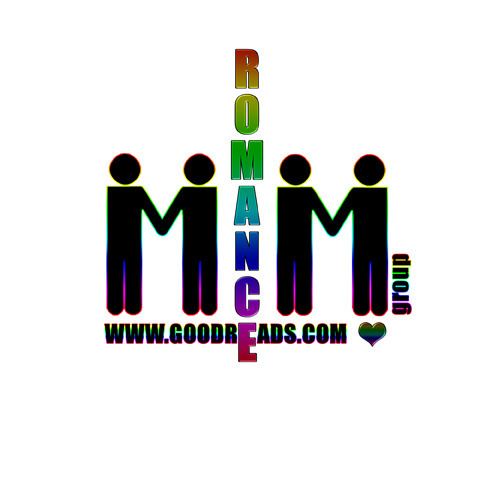 She started writing as a teenager, and discovered soon after that romances with two hot guys are twice as good as romances with only one. When she’s not at the computer, she enjoys cooking and baking, going to science fiction conventions, and cruising with her husband. She’s one of the few people in the universe who loses weight on cruises. (Must be all those walking-around shore tours and the lack of free internet access.) Her favorite mainstream fiction genres are science fiction and fantasy, both of which tend to seep into her own writing; the Hidden Magic series is a fun blend of romance and fantasy. 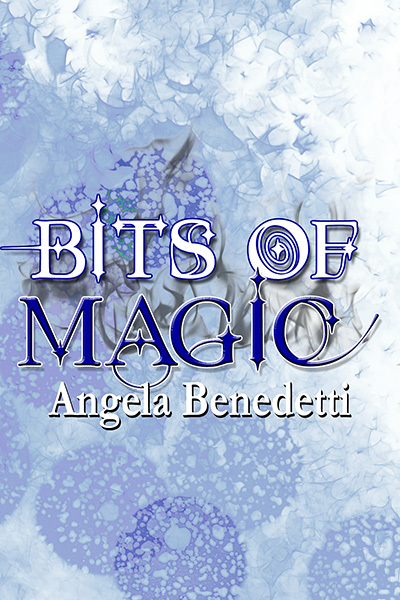 Rafflecopter Prize: An e-copy of the novel that started the series, A Hidden Magic. 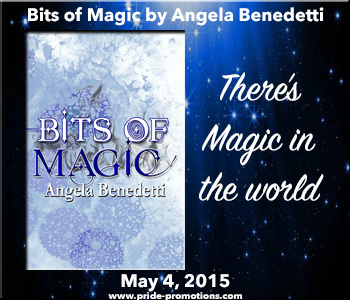 This entry was posted in Book Giveaways, Book Reviews, Book Tours and Contests, Books, eBooks, Fantasy, LGBTQ Book Reviews, M/M Book Reviews, M/M Fiction, M/M Paranormal Fiction, M/M Romance, Torquere Books and tagged A Pride Promotions Book Tour and Contest, author Angela Benedetti, Bits of Magic by Angela Benedetti, M/M Story Collection, M/M Urban Fantasy.